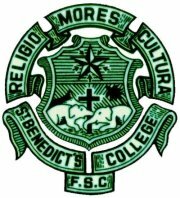 To remain true to our college motto “Religio, Mores, Cultura” we need to maintain and continuously enhance upon the high standards of “Religion, Morals and Culture” imparted to us by our alma mater. Cultivating a life long habit of reading is one means of doing this – but in this fast paced modern world we may find very little time for Books. This library of electronic book summaries is an excellent solution to this dilemma. Make a resolution to find the time to read at least one summary per week. You will find here summaries of perennial & timeless classics like The Imitation of Christ by the German Augustinian Monk Thomas Kempis and The Confessions of Saint Augustine by Saint Augustine as well as modern works such as Cracking DaVinci’s Code in which the authors refute potential misconceptions and controversies sparked by The DaVinci Code, the international bestseller by novelist Dan Brown and the timely How To Be A Christian In A Brave New World addresses the profound ethical questions our generation faces from stem-cell research, genetic engineering, cloning etc., and offers clear principles for us to apply as we think through these. You can use the Summary Notification Service to get email notifications when new items are added. Each summary is a 5,000-word encapsulation of the book’s core content—designed to give the reader the key points and the gist of the book. If you come across a summary or book that is really interesting and/or inspirational please comment on it (using the comment facility below), so that others too can benefit from your reading experience.